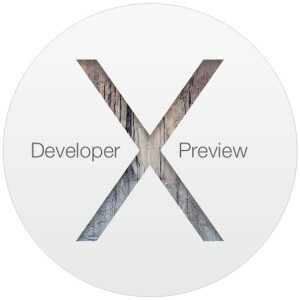 Apple has released the 7th developer preview of OS X Yosemite. The update arrives as build 14A343f, and includes bug fixes and feature enhancements, making it recommended for all Mac developers to install. As usual, those registered with the Mac Developer Program can either download the update through the Mac App Store, or redeem a download code through the developer website. Separately, a new beta version of Xcode with the iOS 8 beta SDK is also available for developers to download. OS X Yosemite Developer Preview builds are separate from the OS X Yosemite Public Beta builds. Currently, the Public Beta version is on it’s second release, and has a build number that closely matches the 6th Developer Preview release of OS X Yosemite. Apple has said the final version of OS X Yosemite will arrive as a free download sometime in the fall, with most reliable rumors indicating the likely availability date appearing sometime in October. It’s getting better and better. I’m getting tempted to run Yosemite full time on one of my systems. I am sticking with 10.9.4 on my Mini, however I’ve been running Yosemite on my MBPr for a few weeks now. It’s been incredibly stable since v4 and v5. The UI looks like crap. Who the hell wants a flat red, green or yellow circle to represent window functions. The entire UI is worse than retro. It’s UGLY and the people at Apple who are responsible should be FIRED for being so stupid.